There is always a lot going on at D.F.F. Dance, and everybody can be involved. Pupils are encouraged to take part in festivals, competitions and shows, which in turn helps to develop self confidence and the ability work as a team member. Our bi-annual show is held at The Windmill Theatre Littlehampton. Pupils have danced at Disneyland Paris, Her Majesty’s Theatre London, Buxton Opera House, The Connaught Worthing with the English Youth Ballet and in The Jungle Book, in Panto at The Pavilion Theatre Worthing and recently at The Hawth Crawley in A Chance to Dance. Many pupils have continued on to full time training at prestigious London dance colleges and are now professional dancers. I believe that all children are individual and here at D F F we pride ourselves in encouraging a hard working environment, but also a loving, caring and fun atmosphere. All the children are important to me whether they attend one session or more each week. I like to have a fun element towards the dance classes, but also to work towards excellent marks in examinations and top quality performances. All abilities are catered for whether dancing as a hobby, to keep fit or to do something more serious. 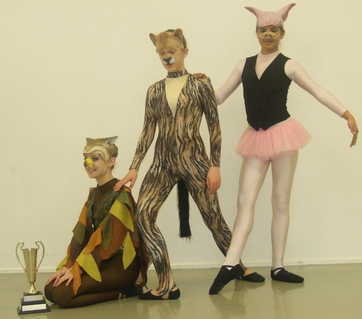 Many pupils have continued to prestigious London dance colleges and into a career in dance/performance.